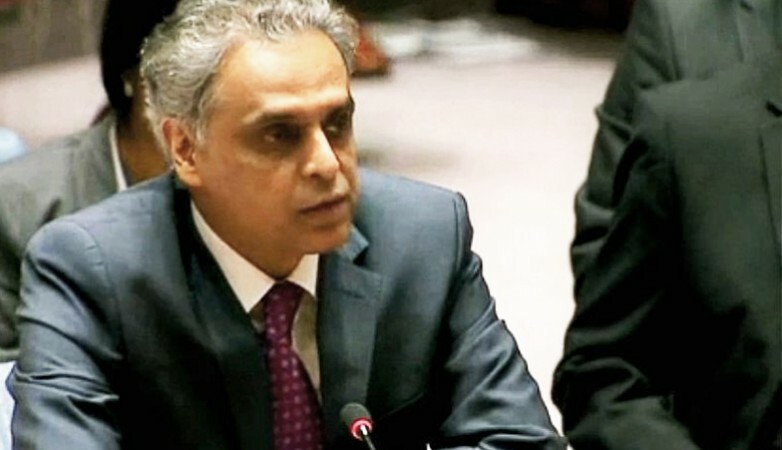 United Nations: Pakistan's "mindset" that unleashes terrorist attacks on India and Afghanistan must change, India has told the Security Council. Only by changing the terror mindset can peace come to Afghanistan, India's Permanent Representative Syed Akbaruddin said on Friday during a high-level Council meeting dealing with Afghanistan. "Terrorism and externally induced instability pose the gravest threat to Afghanistan's peace, stability and prosperity," he said. "And the growing arc of terrorist violence endangers our entire region." New Delhi has been working with regional and international partners to bring security, peace and development to Afghanistan, he said. To further these objectives and promote peace, Prime Minister Narendra Modi stopped over in Lahore in December 2015 on his way back from inaugurating the Indian-built parliament house in Afghanistan, he said. But "a heinous and barbaric terrorist attack" was launched on the Pathankot airbase in a week's time by "the very same mindsets which attack the spirit of Afghanistan every day," he said. "These mindsets differentiate between 'good' and bad terrorists," he said. "These mindsets refuse to see reason in peace. They are mindsets that are reluctant to join hands in moving the region forward to build a shared future for our people and our youth." "These mindsets," Akbaruddin declared, "need to change." The high-level Council meeting was presided over by Kazakhstan's Foreign Minister Kairat Abdrakhmanov and focused on regional cooperation to promote development and security in Afghanistan. Russia's Foreign Minister Sergei Lavrov was among those attending the session. Terrorism has taken a huge toll on Afghanistan, Akbaruddin said backing up his assertion with World Bank statistics. Afghanistan recorded a 9.6 per cent annual economic growth rate from 2003 to 2014, but it has fallen to 2.2 per cent in 2016 as terrorism increased and it was 2.6 per cent last year, according to the bank. Illustrating how terrorism impacts development, he said that a disproportionate amount of resources are diverted from the aid projects to protecting them rather than building more projects. The New Development Partnership between India and Afghanistan cover education, health, agriculture, infrastructure, renewable energy, drinking water supply and human resource development, he said. The recent visits by Afghanistan's President Ashraf Ghani and Chief Executive Dr. Abdullah Abdullah have given the partnership a boost, he added. India pledged a $1 billion package for Afghanistan last year.